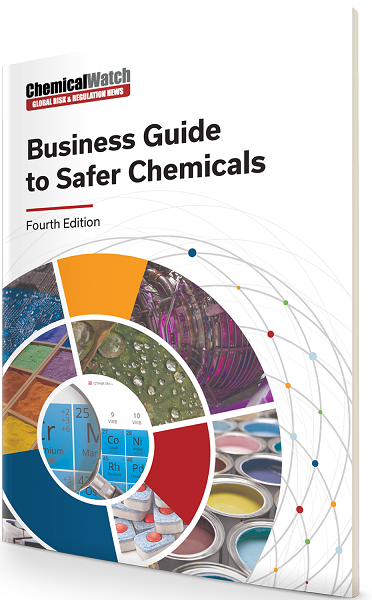 The Business Guide to Safer Chemicals, now in its fourth year, brings together a series of in-depth, practical case studies that examine how companies are addressing the various chemical safety challenges they face. If you’re a brand, material or component manufacturer, the guide will provide you with ideas and practical examples of how businesses are delivering all the good things that chemicals bring to modern life with fewer of the downsides. The guide is completely free to download – you just need to register to download your copy. If you already have a Chemical Watch account, just log in with your email address and password to access your copy. If you can’t remember your password, simply click on the ‘Forgotten your password?’ link in the registration window and you’ll be sent a link to reset your password.